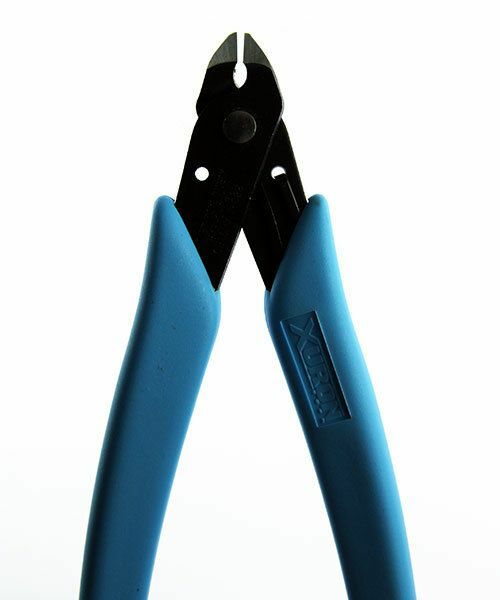 The angled flush side cutter allows for easier cutting in difficult areas. An angled head allows you to see what you are cutting in either the vertical or horizontal position. The slim head can get into hard to reach places. 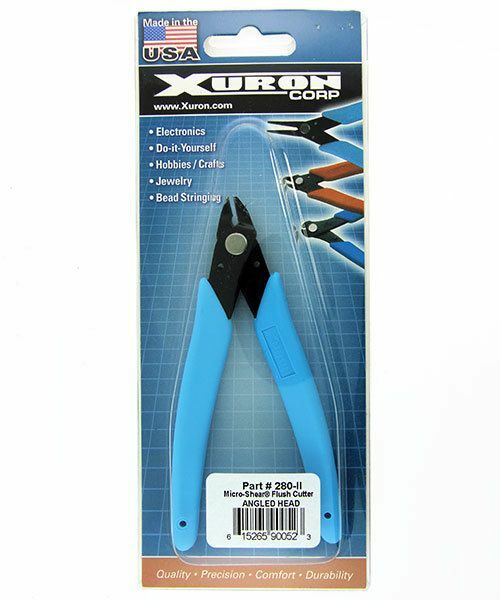 Xuron flush cutters, pliers and shears are very unique hand tools that have features not seen in most pliers and hand tools available. Xuron shears are unique in the world of cutters due to their design. Unlike a standard side cutter, the blades of Xuron cutters do not meet. They by-pass each other much the way scissors or hand shears do. The result is a cleaner more flush cut. The blades will also last longer since the stress of cutting edges "banging" into each other has been eliminated. Xuron tools are precision stamped and machine ground by computer control. Xuron tools have lifetime warranted Light Touch return springs for reduced effort. 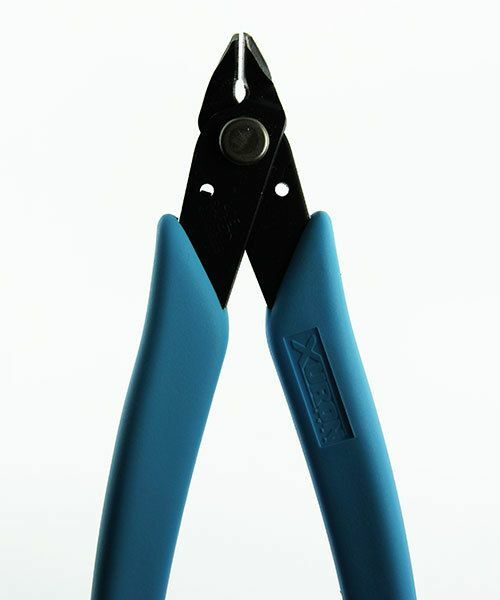 Plier and shears feature ergonomically shaped Xuro-Rubber grips designed for maximum comfort. Non-glare bright finishes or glare eliminating black finishes that reduces eye strain. 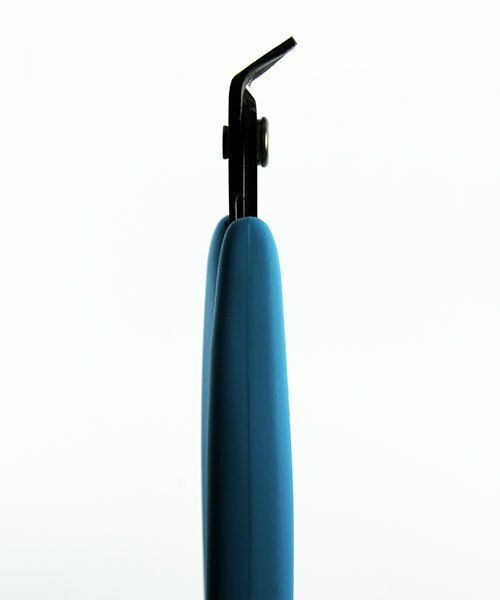 Xuron tools are also very light weighing as little as 1.9oz. 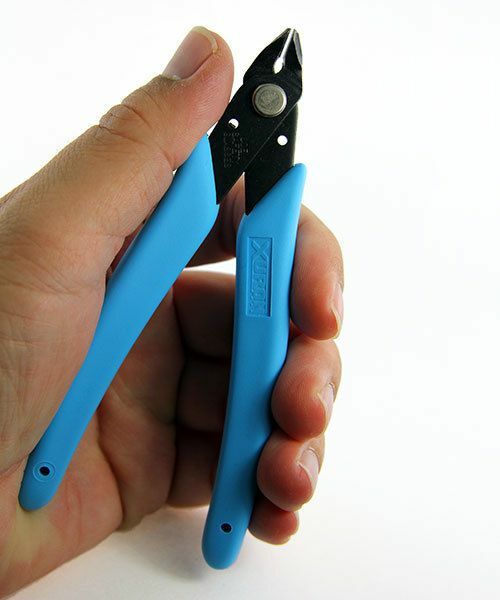 Micro-Shears® feature a patented blade by-pass shearing action that slices cleanly through metal. 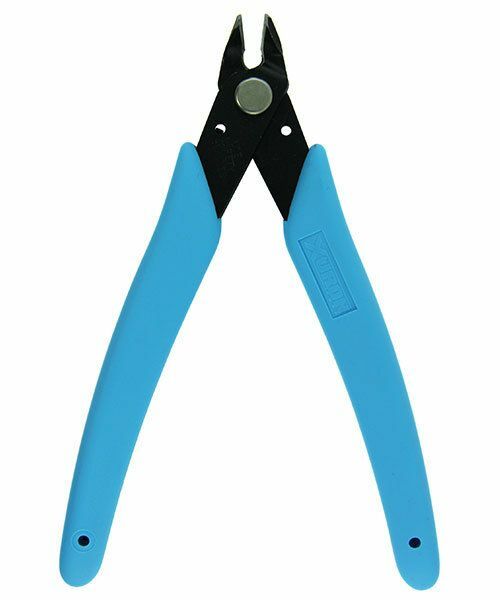 The patented shearing action of cutters requires half the force required by conventional cutters.